Why Was Nancy Pelosi 'Buying The F**king Dip' In AMZN, AAPL, & FB Shares? 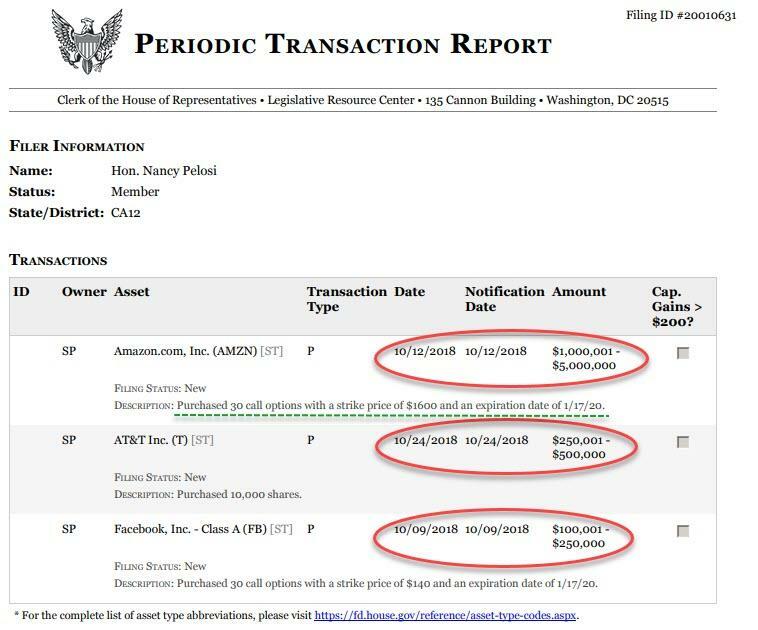 Why was Nancy Pelosi's family making leveraged long bets on tens of millions of dollars worth of shares in Amazon, Facebook, and Apple in the last month? 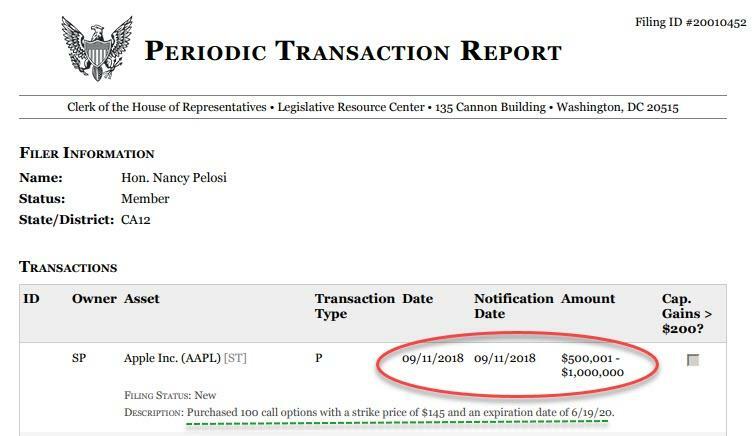 According to House of Representatives official filings, soon-to-be-majority leader of the House, Nancy Pelosi, reported numerous huge call option purchases in the last few weeks - all of which are underwater now. 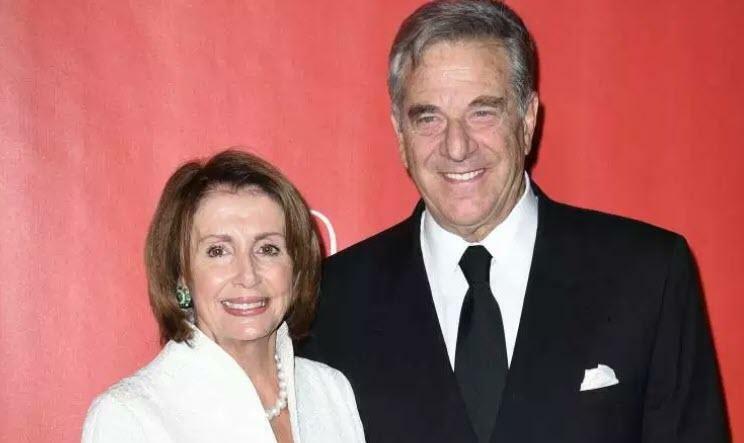 The positions are likely due to her husband of 50 years, Paul Pelosi - a wealthy businessman from San Francisco. With Nancy battling the increasingly socialist progressives of her 'new' party to maintain her role as leader, one wonders what Ocasio-Cortez and Bernie Sanders will make of this ugly capitalism being unleashed at such an opportune time. (...also we note that the investments have taken a more serious tumble in the weeks since Democrats won the House in the Midterms).